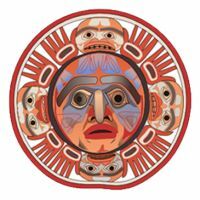 The Emergency Program Coordinator is accountable to both the Nuxalk Nation Administration and the Central Coast Regional District (CCRD) and performs duties under the oversight of an inter-governmental partnership that includes representation from the Nuxalk Nation, CCRD, and Emergency Management BC (EMBC). As an Emergency Program Coordinator, you will direct the organization’s emergency operation program and provide the framework for organizational activities during emergency operations. There are four main elements of emergency management: preparedness/prevention, mitigation, response, and recovery. The Nuxalk Nation and CCRD are seeking an exceptional individual with the requisite skill set to successfully implement the first stage of their new Emergency Management partnership. The following qualifications are preferred; however, consideration will be given to candidates demonstrating an exceptional background in making joint administrative programs a success. We are seeking candidates who are ideally prepared to make a three year commitment to our communities. Please apply to Wilma Mack at the Nuxalk Nation Administration Band Office by midnight on April 30, 2019 at PO Box 65, Bella Coola, BC, V0T 1C0, email: admin.director@nuxalknation.ca. Only short-listed candidates will be contacted for an interview. Compensation will commensurate with experience.